Inventory management is one of the biggest challenges faced by many business owners and CEOs. Even experienced owners and executives can struggle when it comes to properly managing inventory levels. For example, they may rely on external benchmarks that don’t deliver the insights they need. Or they may make inaccurate assumptions, like needing to keep additional inventory on hand to meet customer service demands. However, the fact is that companies today can’t afford to mismanage their inventory. Getting inventory levels right is one of the biggest keys to controlling costs — inventory is literally cash sitting on your shelves or in your warehouse. Inventory is also a good barometer to gauge your company’s overall health. Taking the time now to refocus your attention on proper inventory management can pay big dividends when it comes to cost control and increased profitability. Can you break down inventory into the proper categories? The three main categories of inventory are safety, replenishment, and obsolete/excess stock. When categorizing inventory correctly, it’s easier to make strategic decisions about the right levels for each type of inventory. For example, how much safety stock do you need to guard against supply disruptions? How do you determine your safety stock levels? Some companies rely on industry rules of thumb to determine the right safety stock levels. A better approach is to use statistical formulas that incorporate historical data and production lead times for each SKU that you stock. Do you have a plan to reduce obsolete and excess stock levels? These usually occur due to poor sales forecasting and failure to consider product complexity and life cycle. Your managers need to find out why obsolete and excess stock is accumulating and how to dispose of it. Who makes strategic inventory management decisions? Decisions like determining the right balance between maintaining inventory levels and meeting customer demands are too important to leave in the hands of inexperienced junior managers. Senior level management (including the CFO) should weigh in heavily in these areas. How do you determine inventory ordering and production frequency? A cross-functional team and/or sourcing managers usually determine this. Cross-functional teams can reduce replenishment stock by up to half by using a sales and operations planning process. 1. Forecast customer needs and demand. Effective inventory management starts with accurate forecasting of future demand. Look at your sales history, past inventory records and seasonal patterns for guidance. In addition to the categories noted above (safety, replenishment and obsolete/excess stock), also separate your inventory into categories according to highest and lowest sell-through rates. This will show you where you and your managers need to devote the most attention. 3. Choose an overriding inventory management method. Different methods will work better for different kinds of companies. For example, some companies will be better off maintaining minimum inventory levels and only replacing inventory when it reaches this level. Others might need to rely more heavily on safety stock, while others will be better off using just-in-time (JIT) inventory management to reduce carrying costs. 4. Devise a method tracking both incoming and outgoing inventory. You need to carefully track how inventory is moving in and out of your facilities. If yours is a smaller organization, you may be able to do this using Excel spreadsheets. Otherwise, there is a wide range of inventory management software programs that can automate the tracking process. 5. Conduct regular inventory counts. Performing physical inventory counts is critical, even if you’re using software to track inventory. Many businesses use cycle counting, in which a segment of inventory is physically counted, and the numbers are compared with your tracking software. This makes it easier to catch errors and inconsistencies and take corrective action before serious damage occurs. Inventory management is one of the biggest challenges faced by many business owners today. Getting inventory levels right is a key to controlling costs and a good barometer to gauge the overall health of your company. Taking the time now to refocus your attention on inventory management can pay big dividends when it comes to cost control and increased profitability. 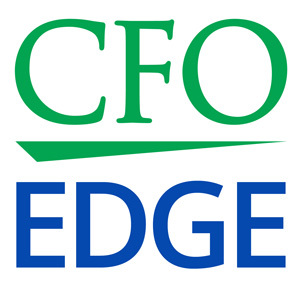 An outsourced CFO services provider can help you improve your inventory management process.